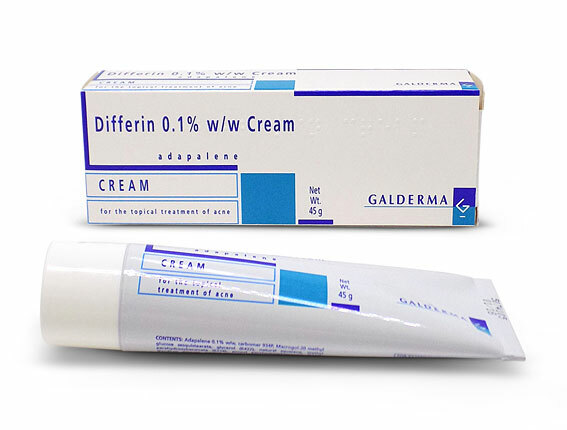 Differin is a medicine used as a treatment for acne symptoms. It can come in the form of either a white cream or gel, but in either form the method for using it is the same. When applied to relevant areas of the skin, this treatment prevents the blockage of oil the skin naturally produces to keep itself moisturised. Are you allergic to Differin (adapalene)? Differin is a treatment for acne symptoms that can come in the forms of either a cream or a gel. It contains vitamin A and helps to prevent spots by unblocking pores and promoting skin cell renewal. This treatment can be used on the face, chest or back for acne, where the skin may have lots of spots, pimples and blackheads. The body absorbs Differin in very small amounts and has little effect, except on the surface of the skin. Differin contains an ingredient called adapalene which creates an anti-inflammatory effect to reduce soreness and irritation. When the cream or gel is applied to skin showing acne symptoms, the adapalene reduces the production of keratin skin cells which ordinarily clog up pores. When sebaceous glands become blocked on parts of the skin, this leads to a build of sebum (the oil the skin produces to keep it moisturised), which can eventually lead to black or whiteheads being formed and later an infection or cyst. But with keratin skin cells removed, the sebum can instead exit the sebaceous cells and stop spots from forming. Differin is meant to be used at night shortly before going to bed. The area of skin where the cream or gel will be applied should be clean and dry before treatment. A thin film of the cream/gel is put on the affected areas with your fingertips and rubbed in gently. How long you will use this treatment for depends on how quickly your condition improves. If you’ve used this medicine for three months or longer, then it’s important to see your doctor so they can check how your condition has improved. When Differin is in use, avoid exposure to sunlight and artificial UV light. Avoid applying the cream/gel to the eyes, mouth or nostrils. If accidental contact in these areas does occur, immediately wash with warm water. It’s best to talk to your doctor or pharmacist if you experience any side effects (whether they’re listed here or not) that cause a great deal of discomfort. Differin gel and cream are only intended for use on adults and adolescents aged 12 years and over. If you are pregnant or planning a pregnancy, then you should avoid using this medication. It should also be avoided if you have a skin condition called eczema. This medicine is not designed for areas of skin where there are cuts or scrapes. An alternative treatment is better for dealing with these. If you are using any other acne products (containing benzoyl peroxide, erythromycin or clindamycin) at the time you want to use Differin, then you should be ok to use it but any other treatments should be applied in the morning, while Differing is used at night. What if I apply too much Differin to the skin? If you apply more of this treatment than necessary, it will not get rid of your acne at a faster rate but it does make side effects more likely. Most likely your skin can become irritated and red and some peeling could also occur. How should Differin be stored? Whether it’s in cream or gel form, this medication should be kept in its original container and stored somewhere that’s not above 25 degrees centigrade. This product is not to be frozen. Like with other medicines, it should be kept out of the sight and reach of children. If you forget to use this medication on one night, then it should not create any issues so there’s no need to worry. When you remember you’re meant to be using Differin, just start using it again in the same way as before, at the appropriate time of night. Apply ONCE daily, thinly to the affected area(s).